There are no comments for La-040 Jefferson Parish. Click here to post the first comment. 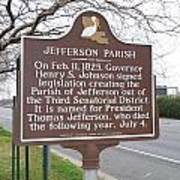 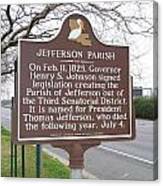 JEFFERSON PARISHOn Feb. 11, 1825, Governor Henry S. Johnson signed legislation creating the Parish of Jefferson out of the Third Senatorial District. 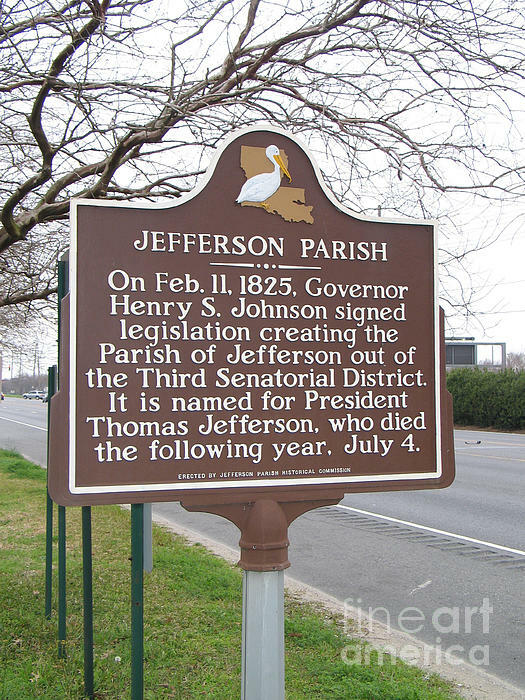 It is named for President Thomas Jefferson, who died the following year, July 4.Erected by Jefferson Parish Historical Commission.